Just like in the past few Mass Effect games, Mass Effect: Andromeda features loyalty missions. These are special quests for you to undertake to improve your relationships with team members. You&apos;ll either be recovering something for techs, doing them favors or working closely with them for the end result of increasing your rapport with those characters. If you don&apos;t decide to take them on, however, you won&apos;t be penalized. But if you want to complete them, here are some tips and tricks for handling the loyalty missions in Mass Effect: Andromeda. Before you set out to complete loyalty missions, it&apos;s important to understand them. Some characters have several different missions and quests you can take on after you finish their first selection of missions. You don&apos;t have to do any of the missions, but you will benefit from them if you choose to. Loyalty Missions will be unlocked when you finish the main story mission "Hunting the Archon." You may find that for some characters you won&apos;t be able to work on their missions until you&apos;ve finished all of the other prerequisites. To unlock Cora&apos;s loyalty mission, you must have recovered the Asari Ark on the planet Voeld, which corresponds to the quest "Cora Harper: Asari Ark." Cora will get in touch with Ryder to go with her to the Asari Ark to rescue the Asari Pathfinder and the rest of the Asari passengers. This mission is called "Cora Harper: At Duty&apos;s Edge," and you should unlock it when Cora makes her request that Ryder come with her. You&apos;ll have to complete Drack&apos;s character mission "Krogan Betrayal" first after finishing the "Hunting the Archon" mission to open up this loyalty mission. Once you&apos;ve done so, Drack will speak with you to let you know that the Krogan Seed Vault has been reported stolen. You&apos;ll have to go with him to Elaaden, the desert planet, to get it back since it&apos;s an extremely important resource for the Krogan race. 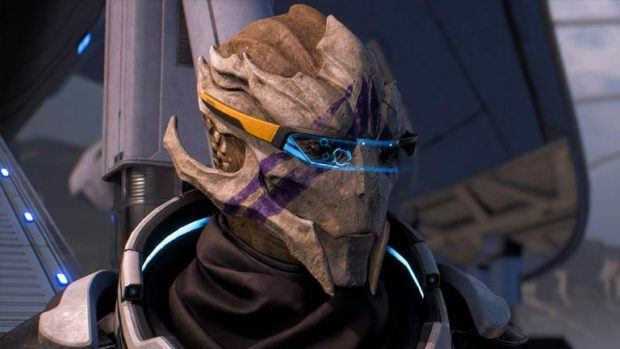 Once you finish the "Hunting the Archon" mission, the next time you speak to Vetra aboard the Tempest she&apos;ll let you know she&apos;s gotten a call from her little sister Sid requesting emergency assistance. Sid has been tracking missing settlers, and you need to go with Vetra to a mining facility to try and recover said settlers. Peebee will task you with several different quests to complete where she&apos;ll have you getting parts for the Remnant VI she&apos;s been working on. When you find the last piece, it gets stolen — of course. You&apos;ll have to help Peebee find the thieves and retrieve the part. The mission will be open after you&apos;ve gotten the last part for Peebee. Finish the mission "Armor Diplomacy" and open up three Andromeda Initiative Outposts on planets in the Heleus Cluster. Then you&apos;ll be able to assist Liam on his loyalty mission. It&apos;s a lot simpler and more straightforward to open up Liam&apos;s offerings. Finish the mission "Friend or Foe" after finishing the quest "Hunting the Archon" to open up Jaal&apos;s mission. You&apos;ll have to talk to him first; that may be fun or frustrating depending on your thoughts about Jaal himself. Read the email Jaal will send and speak to him again in the tech lab in the Tempest. He&apos;ll ask you to help him keep the Roekaar faction of his Angara people from coming into power.